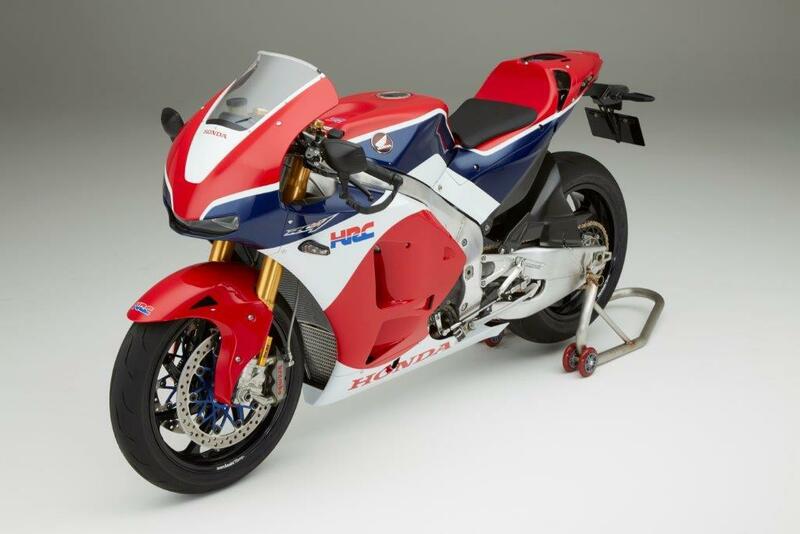 This is the world’s first official sight of the ultra-high cost, super exclusive Honda RC213V-S; a road-legal replica of the MotoGP bikes racing in the world championship. It’s taken more than ten years of rumours, innuendo and even a stalled V5 MotoGP replica for this new V4 bike to finally be given the greenlight for production. Honda bosses have confirmed it will be open to orders being placed online from July 13, 2015 and while the exact UK price has yet to be set, it is expected to be around £140,000. 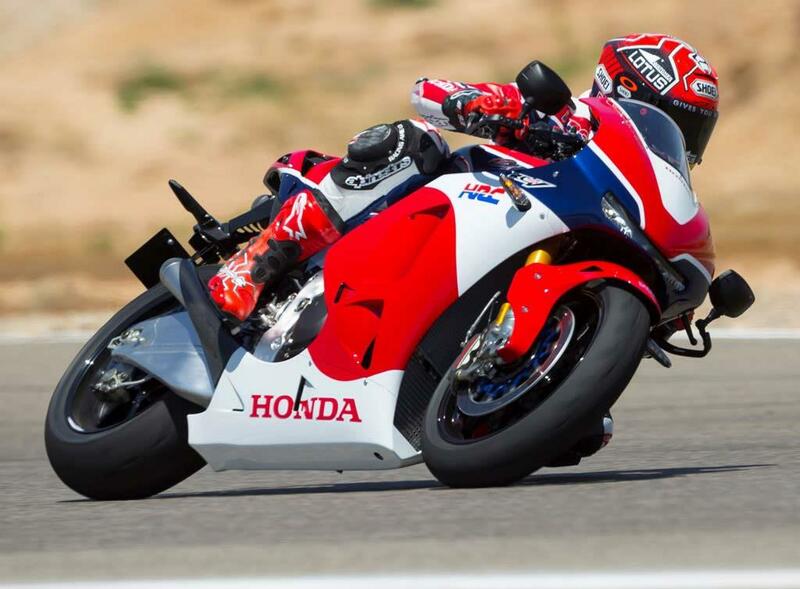 Until now Honda has maintained this bike is nothing more than ‘prototype’ with production far from certain. Now, all of that has changed and the Japanese giant has confirmed the bike is going into production and will be available to order next month for those wealthy enough to afford the astronomical asking price. 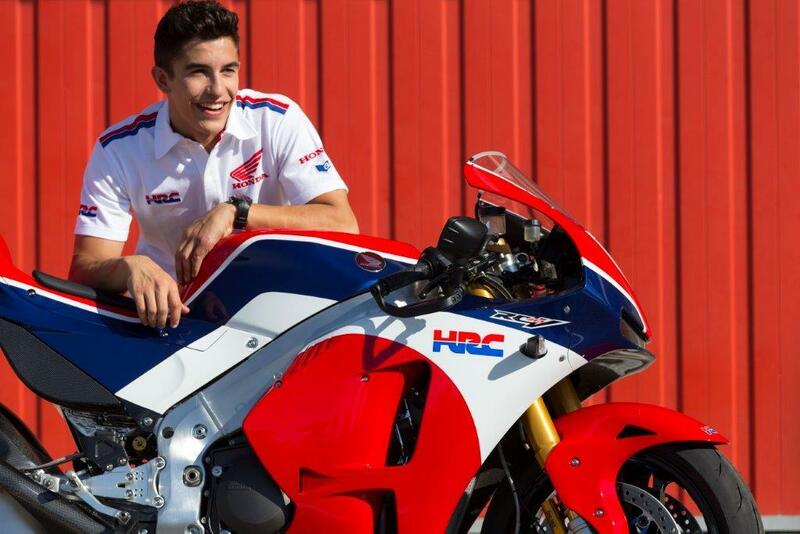 Honda’s press release states: “The new RC213V-S is not merely the result of a feedback of technologies created by Honda through its competition in races into a commercially available model, but rather represents a wholly new endeavour to make it possible for a machine developed for competition in MotoGP races to run on public roads. 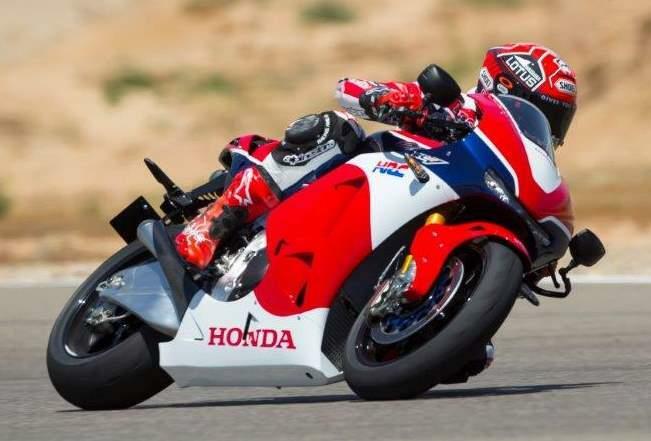 “The RC213V-S has been developed according to this Honda principle, making it possible for the RC213V, which has won MotoGP championships for two seasons in a row in 2013 and 2014, to run on public roads. The RC213V-S has inherited the specifications of the RC213V to thoroughly ensure mass concentration and reduced friction, as well as all key aspects in manufacturing that set the RC213V apart as a MotoGP machine from ordinary mass production models, with overwhelming differences which involve light weight and precise machining of the components, plus superior expert skills required in manufacturing. “In addition, the RC213V-S is equipped with control technologies used on the RC213V. The RC213V consists only of the necessary parts for winning races, based on the idea of changing specifications as necessary according to the rider and course. To achieve the specifications that make the RC213V-S eligible to run on public roads, the minimal amount of necessary changes and additions has been made compared to the RC213V. “For the RC213V-S, a machine for public roads, the regions with sales planned are Europe, the U.S., Australia and Japan. The manufacturer's recommended prices (tax-inclusive) are set at €188,000 in Europe (Germany *1), ¥21,900,000 in Japan, A$244,000 in Australia, and US$184,000 in the U.S.
To purchase an RC213V-S, applications for order entry will be accepted around the world starting 0:00 (CET) on July 13, through the order entry form on the exclusive RC213V-S website. 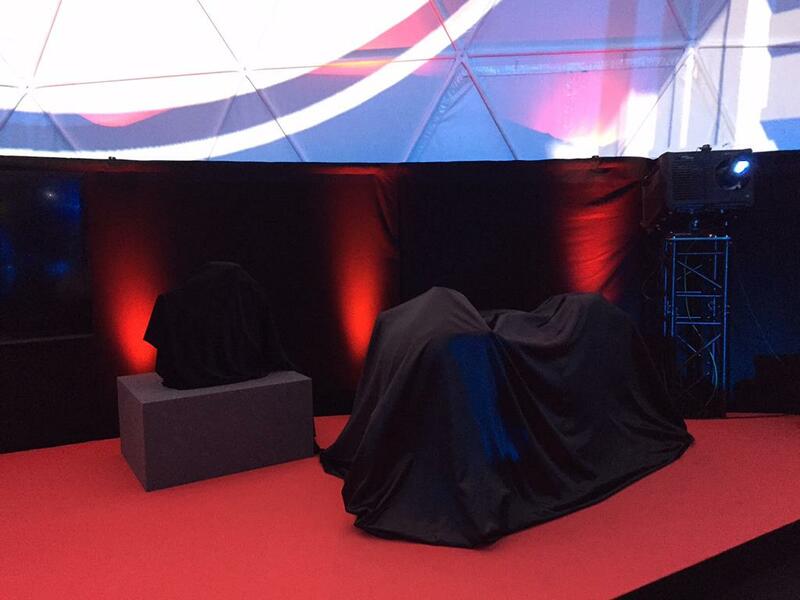 MCN is at today’s official Honda event where the bike is being revealed for the first time at the Catalunya MotoGP event and will be reporting back throughout the day as the bike is shown and more details emerge. 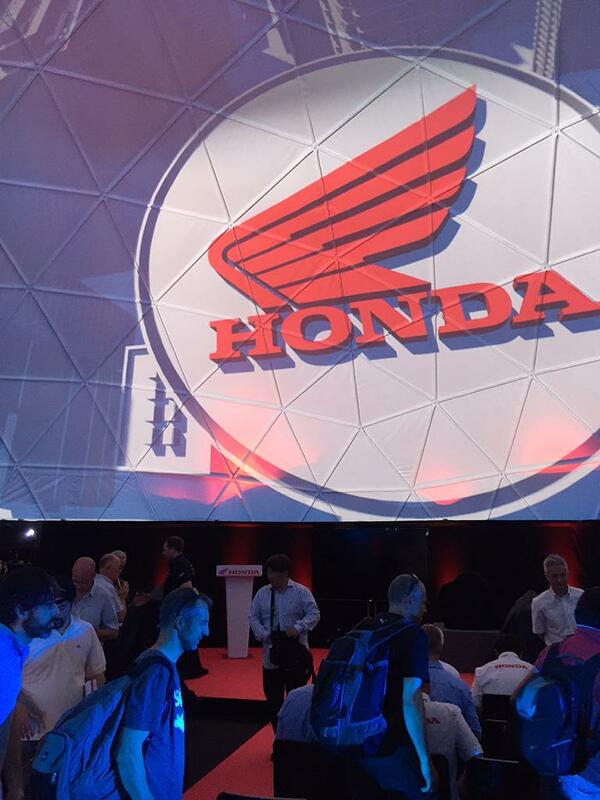 The large-scale event being held today has seen journalists from around the world being flown to Spain to see the new bike. It’s all a little odd as Honda managed to upstage the whole event itself when the RC213V-S was run in the little-known Asama Hillclimb event in Japan last week. MCN’s Japanese sources were able to grab a full set of pictures of the bike running up the hill and event video of the bike being warmed up. The 999cc V4 keeps as close to the racing machines as possible. 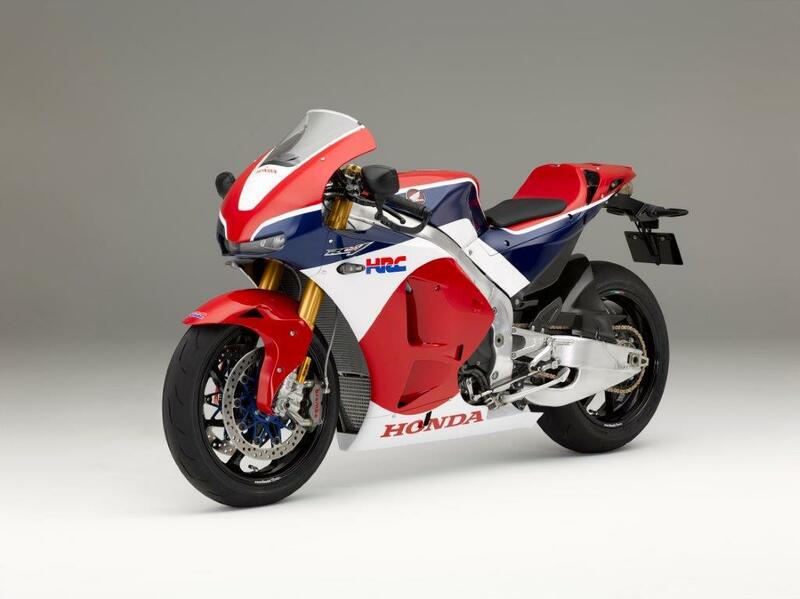 Honda set out at the very beginning of this project to make a bike as close to the racing bike – yet road legal – as legislation would allow. The RC213V-S project has been beset by delays thought to have been caused by internal wrangling over the viability of the bike, costs and the availability of research and design resources. 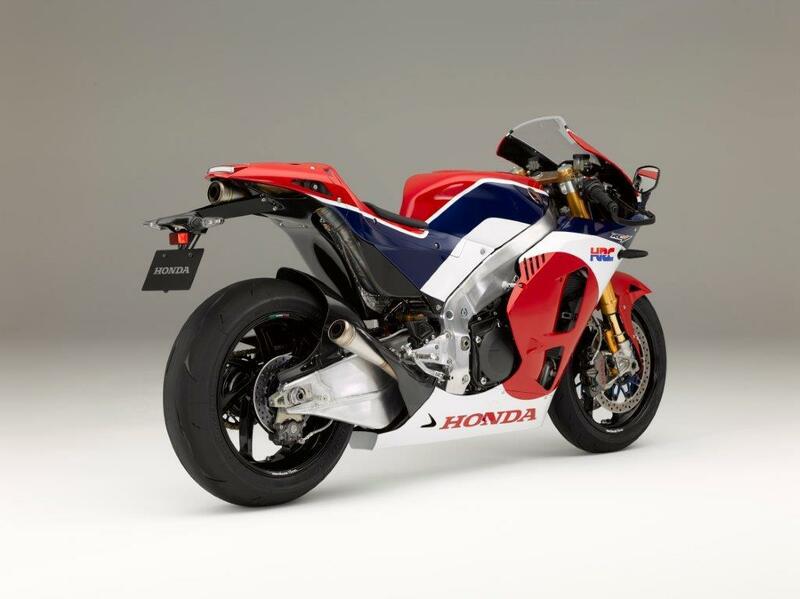 It was 2012 when Honda first made the official announcement of the intention to build a MotoGP replica for the road but it was another two years before a real bike with indicators, lights, a road-legal exhaust and tyres and a numberplate mount appeared at the Milan motorcycle show. Even at that point Honda bosses told MCN the decision to build the bike was still ‘not 100%’ and the bike was only a prototype. 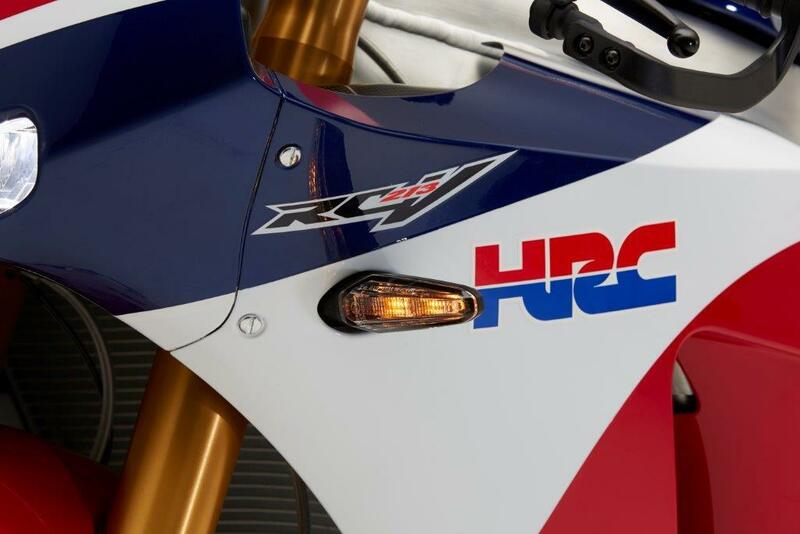 ENGINE: The 90-degree V4 delivers a claimed 212bhp at an rpm Honda won’t yet reveal but customers will also get an HRC exhaust and ignition ‘track only’ kit that will hike the power even higher. 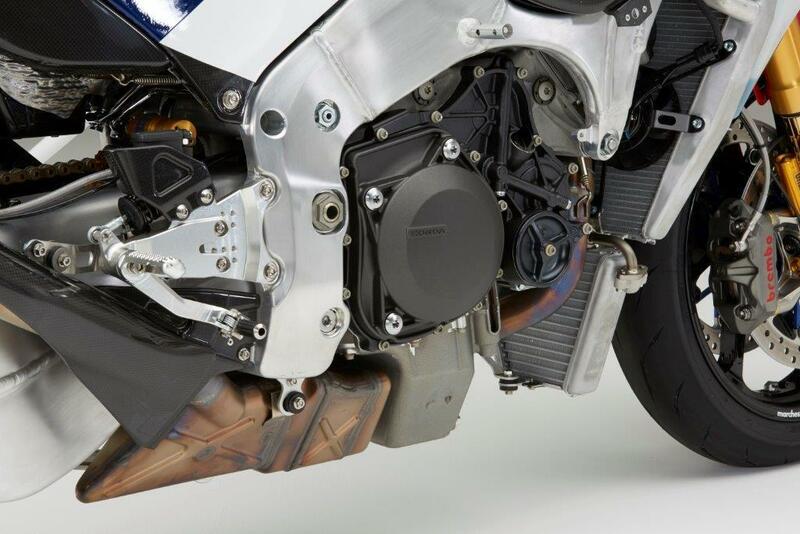 Crankcases are aluminium rather than the racer’s magnesium, but otherwise are MotoGP spec. Pistons are modified to increase service intervals and there are conventional valve springs, slipper clutch and gearbox. 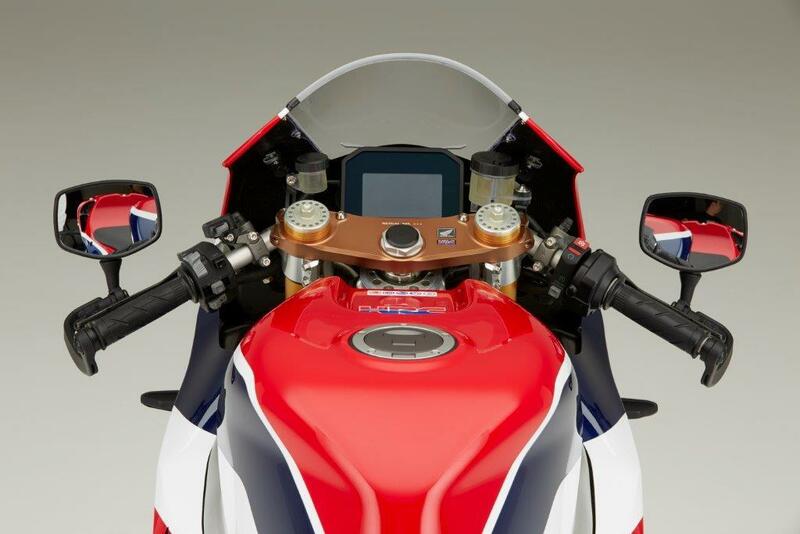 STYLING: The overall styling of the bike is identical to that of the show ‘concept’ bike shown in Milan last year; right now to the Freddie Spencer 500GP/NS400R inspired red, white and blue paintjob. Indicators are narrower and longer than those seen on the concept bike last year. 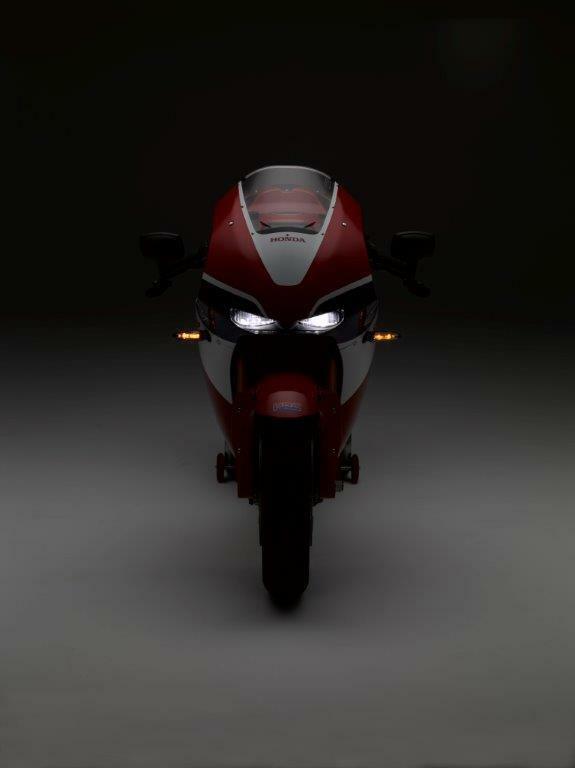 LIGHTS: The final production bike appears to have ditched the LED lights that were patented along the way by Honda and were thought to be part of this bike’s design. Conventional halogen headlight bulbs can be made smaller, lighter and take up less space thanks to the lack of need for heat exchangers needed by LEDs. EXHAUST: The titanium standard exhaust is as close to the look of the MotoGp as possible but still manages to be road legal for noise and emissions. The standard of the construction is sublime but most impressively it’s the way the silencers and the catalytic converter has been hidden away. 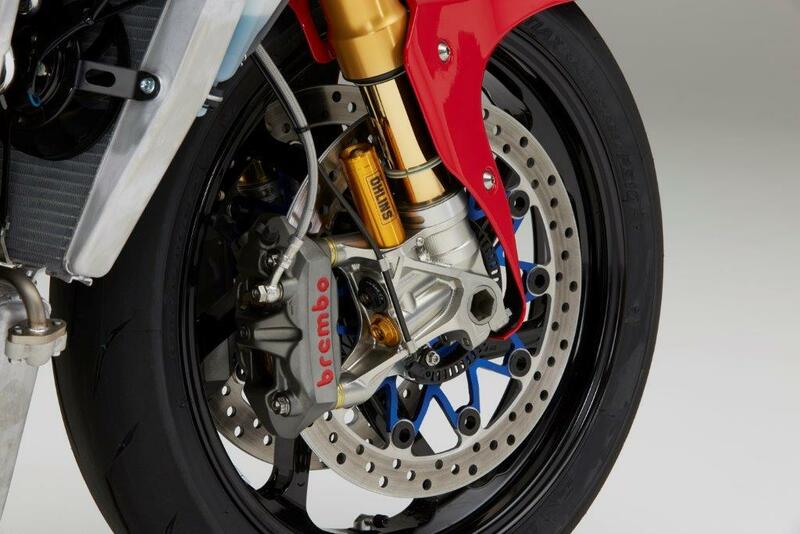 SWINGARM: The swingarm is another part that has maintained as much of the design and engineering of the MotoGP bike and is the same aluminium design. 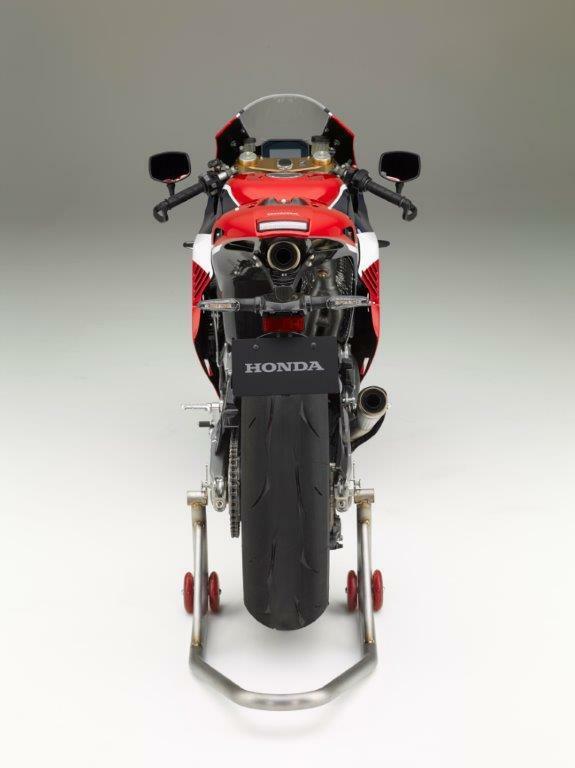 The swingarm is 55mm longer than that of a CBR1000RR Fireblade in order to stop wheelies. 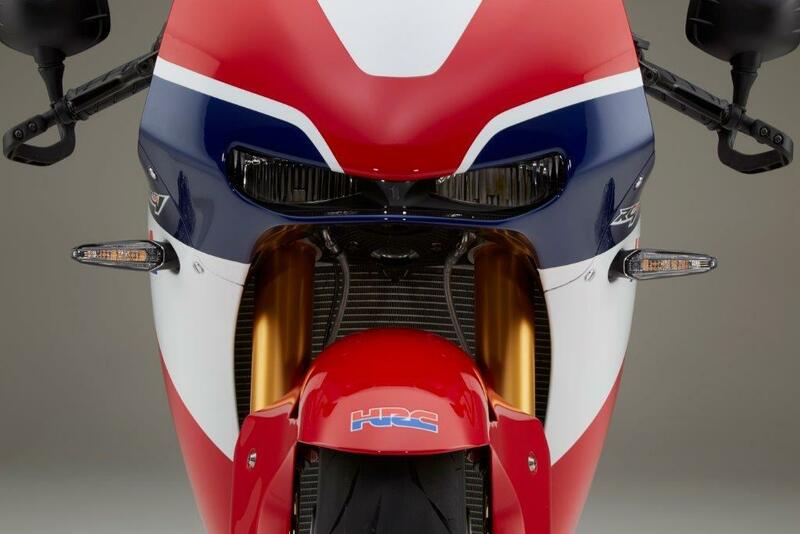 As the purpose of development of the RS213V-S, rather than trying to replicate the dynamic performance of the RC213V, the focus of the development approach was on recreating as much as possible the complete vehicle packaging of the RC213V and its riding feel. To enable riding in speed ranges that approach the world of the RC213V, an optional sports kit is available exclusively for riding only on closed courses such as racing circuits. In this way, the RC213V-S makes it possible to experience the riding feel of the RC213V on public roads, while also enabling riding at a higher level on closed circuits. The RC213V consists only of the necessary parts for winning races, based on the idea of changing specifications according to the rider and course. But given the premise of riding on public roads for the RC213V-S, minimum possible changes and additions have been made to the RC213V as requirements for running on public roads, while inheriting all other elements of the RC213V.